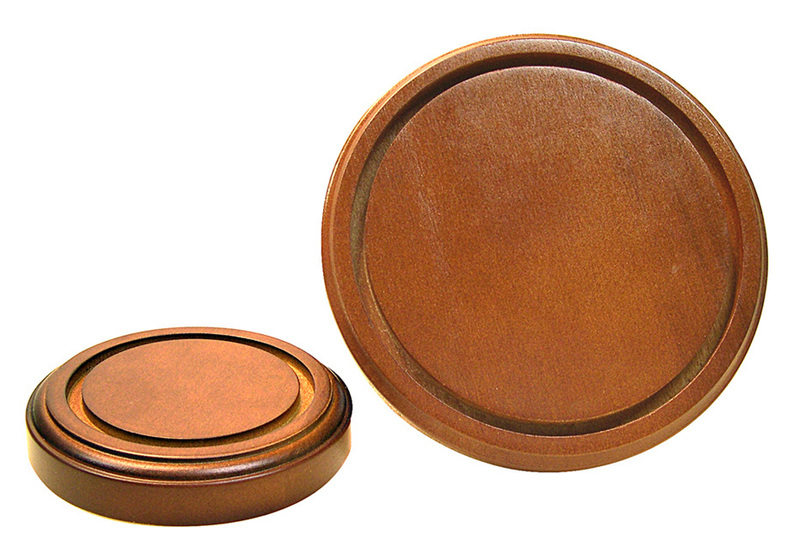 WOOD DISPLAY BASES are Richly Finished Hardwood and Include Ornately Beveled Edges. 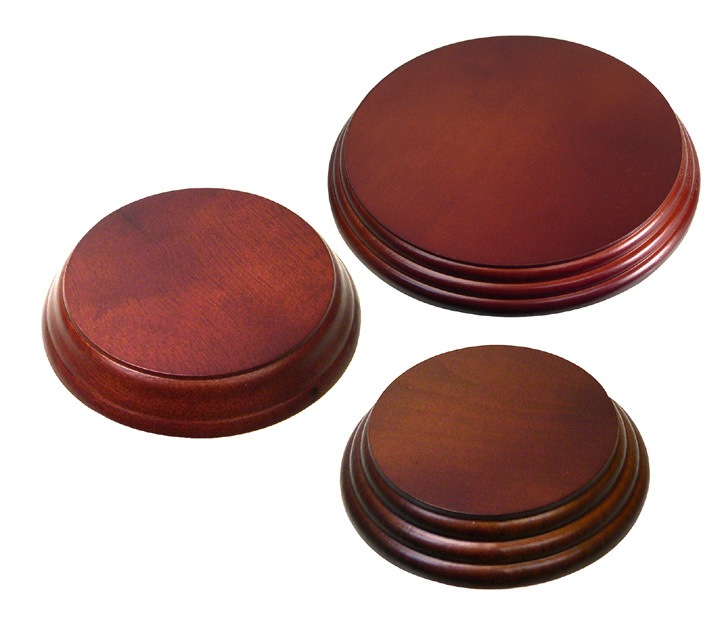 Wood Display Bases A & B Are Stained Dark Walnut with a Rich Satin Finish & Are 3/4" Thick. Display Base C & E Has Room For Standard 18-Note Musical Movement (when shell and base are removed). D) Base Only. Grooved to accept a Glass Dome if desired. Bases are 3/4" thick. E) Wood Display Base with Feet. 3-1/2" Round Top x 1-1/8"H. Base plate is designed to hold a standard size windup musical movement with its shell and base removed. Use with 5/16"L winding key 221-100-09. 1 5 10 24 Qty. 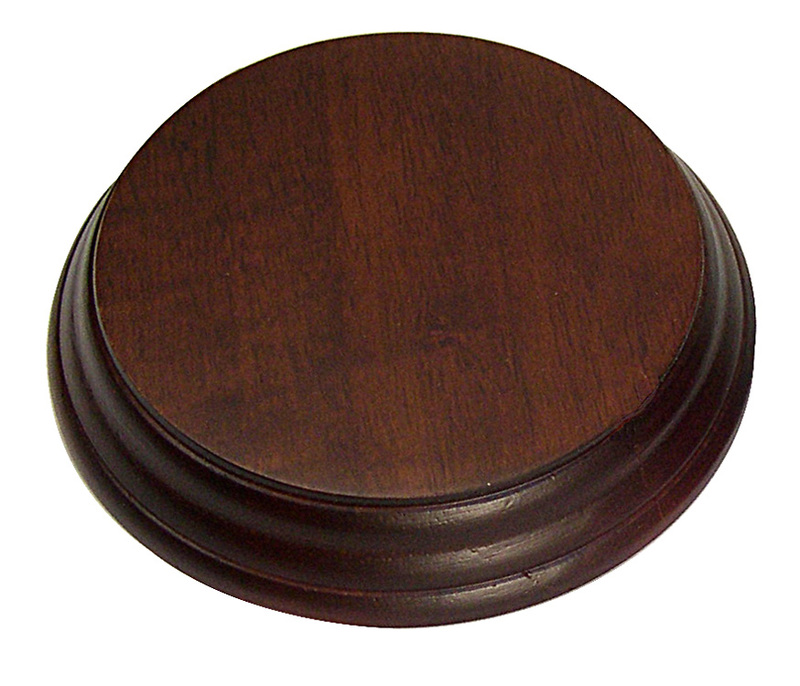 Hardwood Display Base with 3" round top is 3/4" thick with ornately routed edges. Stained Walnut with a rich satin finish. 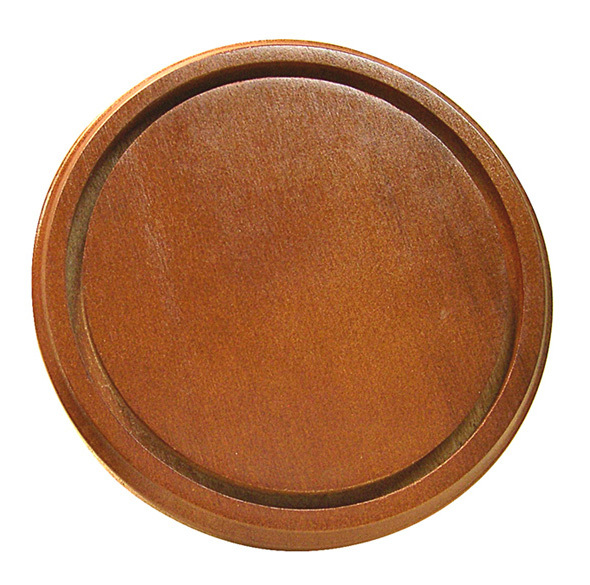 Hardwood Display Base with 4" round top is 3/4" thick with ornately routed edges. Stained Walnut with a rich satin finish. 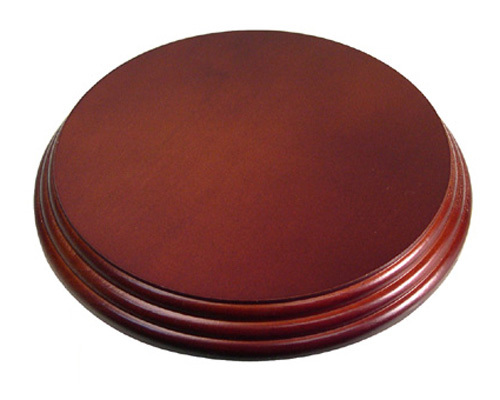 Hardwood Display Base with 6" round top is 3/4" thick with ornately routed edges. Stained Walnut with a rich satin finish. 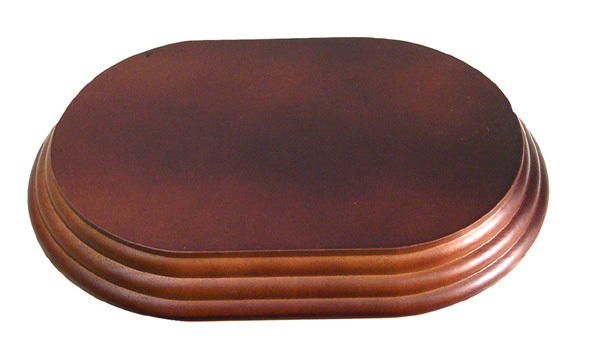 Hardwood Display Base with 7" x 5" oval top is 3/4" thick with ornately routed edges. Stained Walnut with a rich satin finish. 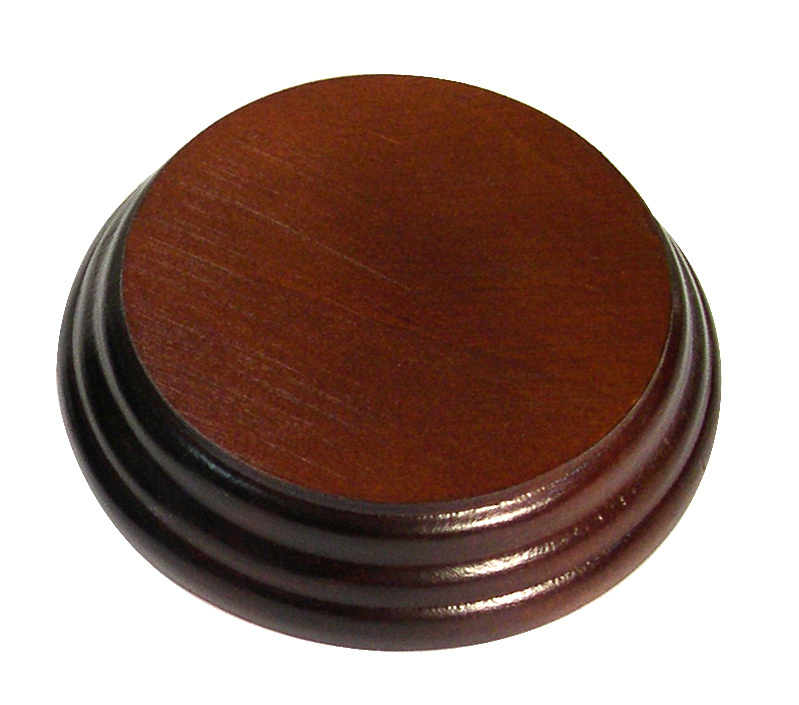 Hardwood Display Base with 4-1/2" round top is 1-1/2" high with ornately routed edges. Stained Walnut with a rich satin finish. Hardwood Display Base with ornately routed edges. Stained Light Walnut with a rich satin finish. Hardwood Display Base with ornately routed edges. Stained Dark Walnut with a rich satin finish. To view our CAROUSEL POLE KITS or TURNTABLES click on selection below. To see our selection of 18-note full size MUSICAL MOVEMENTS click "Musical Movements" from Product Groups menu.